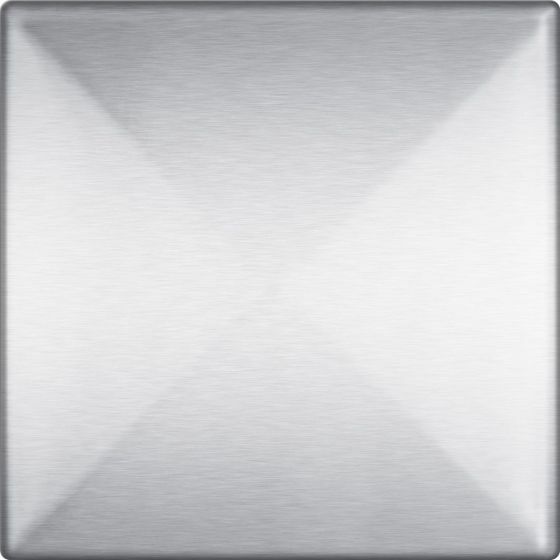 The 6 x 6 Accent 3D Stainless Steel Tile is Proudly Made in the USA. 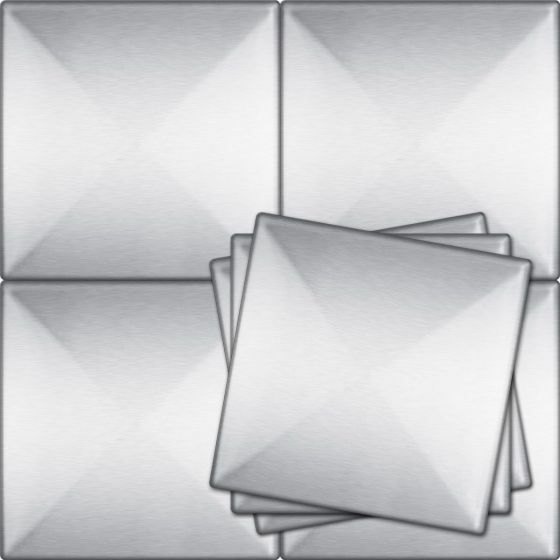 (Actual size: 6″ x 6″) If you considered mixing these tiles with our standard 6 x 6 tile, you may have stumbled across our favorite design. When alternated with the standard 6 x 6 Stainless Steel Tile you create a subtle raised diamond pattern around the flat tile. 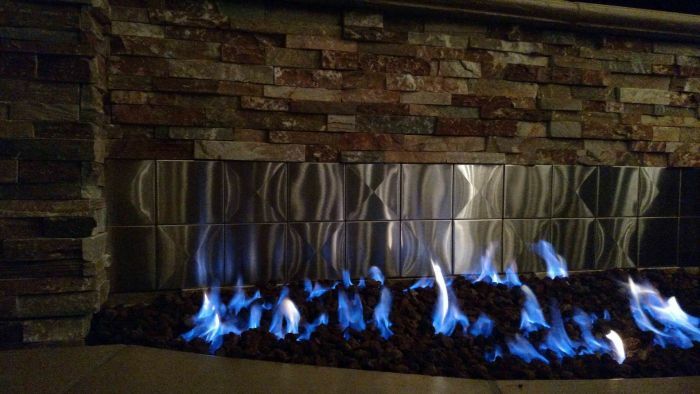 The added facets from the 3D tile make for pleasing results when using under-counter or overhead accent lighting. 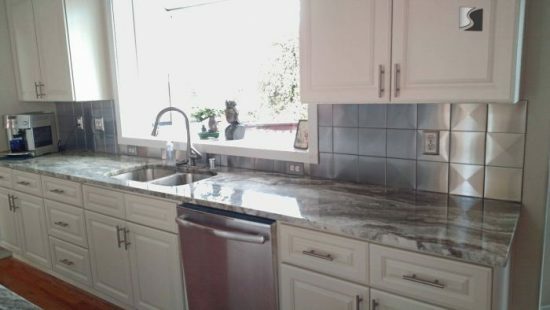 It also enhances the effect of natural lighting. It can also be used alone to create a denser pattern and different feel for you space. Give us a call to discuss your project at (404) 655-6719. We enjoy helping with design, layout and installation questions. 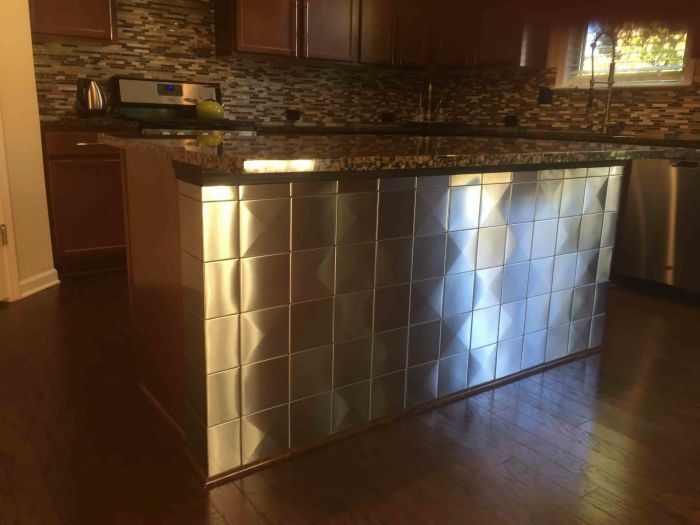 If you are curious about cutting stainless steel tile check out our amateur Youtube Video.